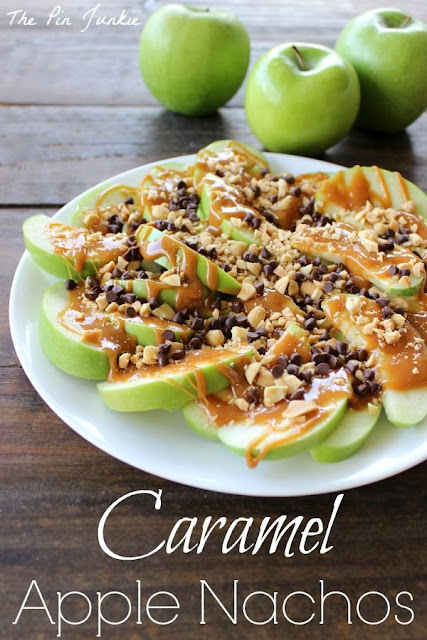 I've discovered another delicious, quick and easy one dish wonder on Pinterest! 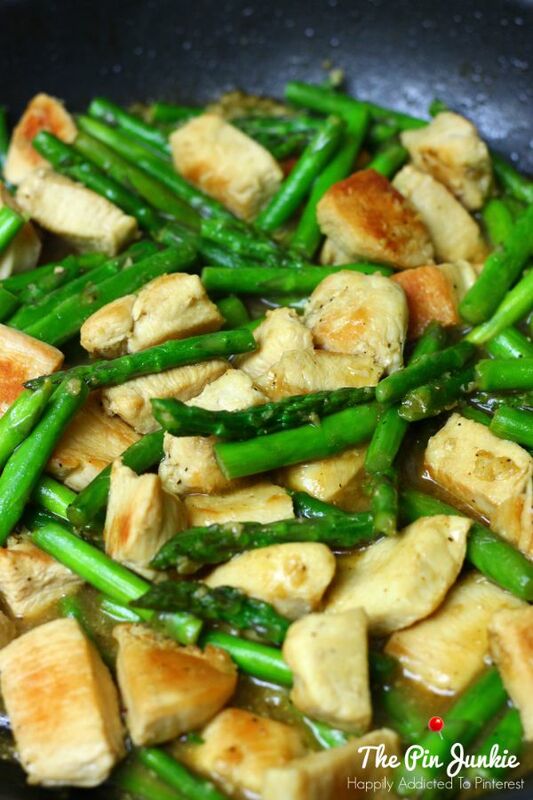 This lemon chicken asparagus stir fry is pretty darn good! The lemon, chicken, and asparagus are a perfect combination. It's great by itself and even better served over rice. 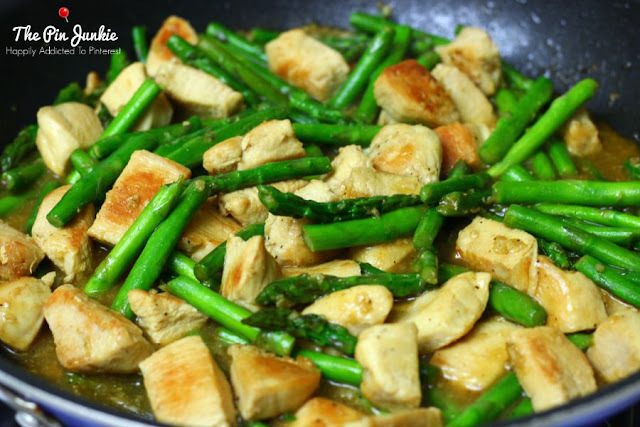 Besides being delicious, this lemon chicken asparagus stir fry is ready in 20 to 30 minutes and cooks in one pan for easy clean up. 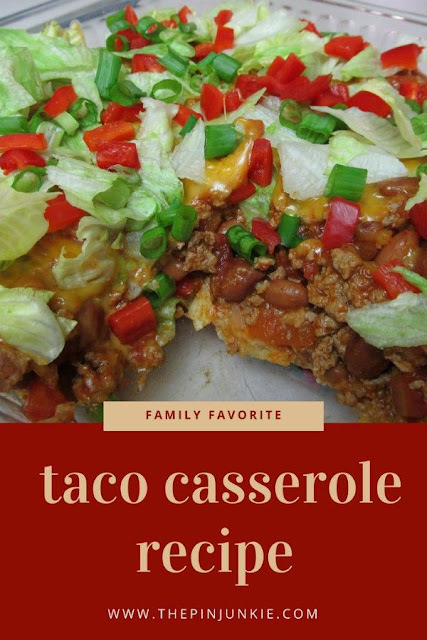 This easy recipe makes a great weeknight meal. Healthy and delicious, this quick stir fry requires minimal prep work and cooks in one pan for easy cleanup. In a small bowl, combine chicken broth and soy sauce. In a second small bowl combine the cornstarch and water and mix well to combine. Set aside. Heat a large non-stick skillet over medium-high heat. Add 1 teaspoon of the oil, then add the asparagus and cook until tender-crisp, about 3 to 4 minutes. Add the garlic and ginger and cook about 1 minute. Remove from skillet and set aside. Add remaining oil and the chicken to the skillet. Cook until the chicken is browned and cooked through, about 5 minutes. Remove chicken from skillet and set aside. Add the soy sauce mixture to the skillet and bring to a boil; cook about 1 minute. Add lemon juice and cornstarch mixture and stir well. When the mixture begins to simmer, return the chicken and asparagus to the skillet and mix well. Remove from heat and serve over warm rice. 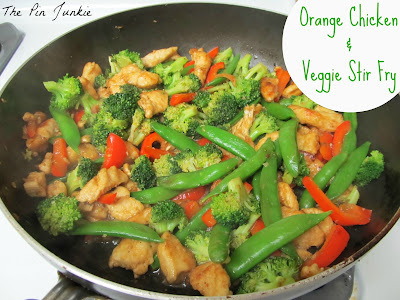 Here's another quick and easy stir fry meal you might like. 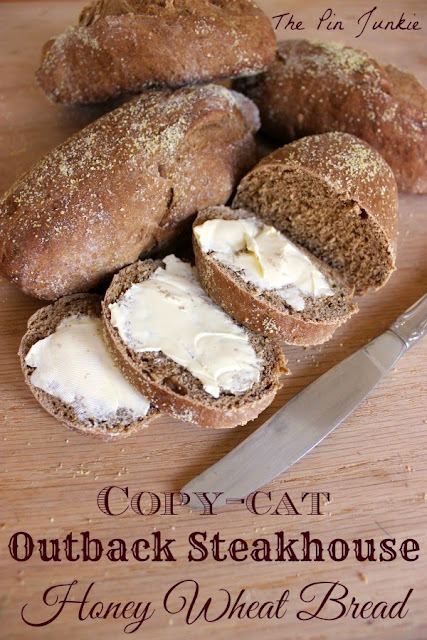 Check out the recipe index for even more great recipes! 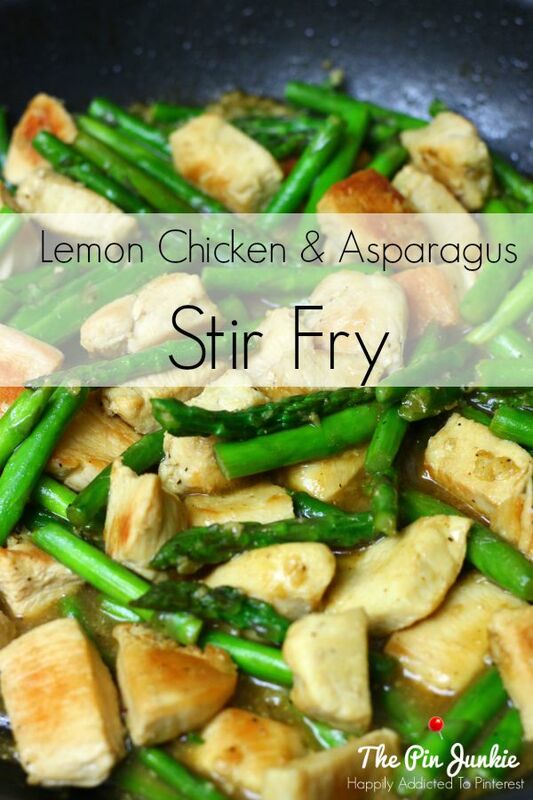 Inspired by this pin for lemon chicken asparagus stir fry. 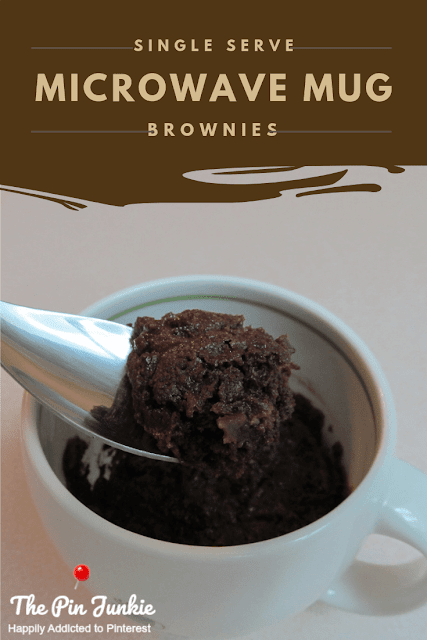 An easy recipe that you can quickly cook up on a busy weekday night! Yum Yum Yum! This will be made next week for sure.